Phi Phi Island is definitely one of my favourite destination even though my job for the past 10 years gave me opportunity to visit the place so many times that I can't even count, still every times I was there I always feel surprise of how beautiful this place is with limestone islands that created powerful cliffs in the middle of the ocean into the crystal clear water full of tropical marine life. Many times look like I was the most happiest person on the trip I did not realize until now that because of my experiences I know exactly where all the beautiful spots are and what to look at. We are now in April the hottest month of the year here in Thailand, however in Phuket it had been no rain for 3 months and we can now see some dark cloud and can feel that we will get some rain soon. Heading to Phi Phi island today for inspection trip and since is a school holiday I also take my daughter with me. The day started by getting pick up by air-condition minivan at around 8.00 then the driver take us to Rassada pier in Phuket town where our ferry Royal Jet Cruise 9 depart from. We normally travel with Premium Class but today I like to try the First Class to see the different. It was not many people at all in the first class today. They also have drinks & snack corner and the room look nice and clean. The boat left Rassada pier at 8.30 and 10-15 minutes later few people from standard class started to upgrade their seats to first class so there was then around 15 people in there. It took around 1.30 hour before we arrive at Phi Phi island and the first stop is at Ton Sai bay but since we were on our overnight tour package our tour guide came to get us just before we arrive to get ready to jump on speed boat which take us around for snorkeling and sightseeing. Speed boat take us to Bamboo island, we get to walk around, swimming and snorkeling from the beach. We moving to Laem Thong beach at 12.00 for lunch at the restaurant with seafood BBQ and buffet then those that stay overnight at Leam Thong beach got to go to the hotel for check in and others get back on speed boat to get transfer back to the ferry which will take them cruise around Phi Phi Le for sightseeing before head back to Phuket. We checked in at Phi Phi Natural Resort, staffs at the hotel are very nice and helpful then when one of them take us to the room, I was surprised they've upgraded our room from standard room to superior cottage which was very close to the beach and I could see how clear the water is from my balcony, we are so lucky! I've never been at Laem Thong beach before so after a bit rest we went out explore the place and also visit “Leisure Dive” our dive center partner which located right on the beach, too bad I didn't plan to dive this time but for sure next time I wouldn't miss it. It had been a long day so we were thinking that we just walk to the restaurant get some quick dinner then back to bed since we have to wake up early for our sightseeing and snorkelling with long tail boat to Phi Phi Le. Just before we finish our dinner there were 3 young locals came to the beach and perform an amazing fire dance, it was so cool that we had to finish our dinner quickly and went to sit on the beach to get better view of the show. After fire dance show we were sitting a bit longer on the beach since it was nice to listen to the waves, the sky was clear though not many stars since it was close to full moon. I remembered one of the first time of my Phi Phi overnight trip almost 10 years ago it was on dark moon and the sky cover with seem like a billions of stars, it was absolutely stunning. We walked back to the hotel and fell asleep as soon as our head touched the bed. We wake up at 6.00, after freshen up we went walking along the beach to restaurant for breakfast and to get a nice warm and beautiful sunrise at the same time. We booked the long tail boat at 7.30 to take us to Phi Phi Le for snorkeling and sightseeing. From Leam Thong beach took us 40 minutes to get there and I realize that I should have left much earlier so I could be there before most of the boat arrive to see real beauty without too many boats. However we arrived at quite good time anyway few boats already arrived but not too crowded. We cruising slowly around Phi Phi Le, stop at Viking Cave then move to my favourite spot “Pileh Cove”. We spend almost an hour here for swimming and snorkelling then continue cruising to Loh Samah bay, Maya beach then last stop on my requested was at Palong wall where you can find some reef sharks at shallow water and many times turtles, unfortunately we didn't see any of them today but we didn't have much time to look for them anyway since we had to head back to the hotel for check out and get ready to go back to Phuket. Hotel staff arranged so we got back to the ferry, on the way back we were in the Premium class which is in exclusive lounge with comfortable sofa and there was also exclusive sun deck which only for premium class. 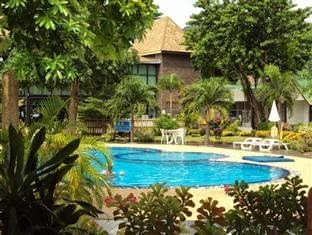 Longer stay, diving package, more info, contact us! The weather does not change much in Phuket for the first few months of the year, so it came as a little but pleasnt surprise on Saturday it rained for 15 minutes or so. Even my motorbike was happy about that, as it's its first wash for a week. Just the small amount of rain we had has added life to our garden too, the, for so long dried up plants have now sprung back to life. PHUKET: The annual Battle of Thalang festival begins at Victory Memorial Field tonight, marking Phuket’s stand against Burmese invaders at the site 229 years ago. Phuket is a fantastic Island whether you live here or come on holiday,addition of 2.5-meter-tall statues cast in bronze honoring the Nine Heroes (story here). Phuket Governor Maitri Inthusut this morning led a wreath-laying ceremony at the Heroines’ Monument (map here) to honor heroines Thao Thepkrasattri and Thao Srisoonthorn, and those who gave their lives in defence of the island. The large-scale re-enactment of the battle, played out each night of the annual festival, will begin at 8:30pm. “As always, the re-enactment will include impressive light and sound displays provided by the Phuket Provincial Administration Organization,” Governor Maiti said. Stalls at the festival grounds will open at 5pm each day, offering amusement rides for children and local food, as well as a huge assortment of local produce and One Tambon One Product (OTOP) goods for sale. Monday 10th March: Max Temp 36 - min Temp 25 degrees extremely hot with passing clouds and little breeze. Tuesday11th March: Max Temp 35 – Min temp 27 degrees slight breezes, passing clouds hot very hot. Wednesday 12th March: Top Temp 35 degrees down to 23 again very hot with scattered clouds cooling off a little in the evening.The beaches are very busy this week again. Thursday 13th March: Max Temp 35 degrees down to 26 degrees. Phi Phi Island. Scattered clouds, very hot. Friday 14th March Max Temp 35 degrees, again very hot it must rain a little soon surely of low 24. Saturday 15th March: Max Temp 34 degrees started off a normal day with hot sun and scattered clouds passing, but then a most wonderful thing happened it rained for 30 minutes wahooo… with a low of 21. So it finally rained in Phuket, you could hear the cheers all the way up to Bangkok. It has been getting hotter and hotter over the last few weeks so a spot of Rain was always inevitable I think. Sunday 16th March: Max Temp 31 degrees down to a night time low of 27 degrees business as usual today although in the early evening it did look like it might rain, but nothing came. Tonight we are going to Naka Night Market again. Here is the latest weather report for those keeping a check on your next holiday destination. The Weather has definitely started to get a little warmer now in the mornings the winter does not last long in Thailand which is a shame as they are definitely the most pleasant two weeks here signifying the summer month’s arrival. The unrest in Bangkok is still ongoing and probably will be for some time, and here is the latest from the Army chief as he on Monday called on all sides to find a peaceful way out of the country's increasingly violent political deadlock, dismissing the possibility of a coup. "It has come to the point where every Thai side needs to find a peaceful way out, and quickly," said Army Commander-in-Chief General Prayuth Chan-ocha in an announcement made on Channel 5 TV. Prayuth dismissed persistent rumours that the army would step in to solve the stalemate. "Soldiers will not take action because if we use force there would be resistance, and the country might collapse,"
Prayuth said. it is not really unrest just a few streets blocked off by protestors wanting the government to change, much the same as any other country to be fair who is happy with their rulers. The Thai people in general are a very tolerant race and even when protesting are very polite. But this is no reason not to come to Phuket as there are many flights each day from European airports direct to Phuket. Even So flying to Phuket via Bangkok is very straight forward with multiple airlines and flights schedule daily. If you have never been to Phuket or Thailand for that matter, it is defiantly well worth investigating. Phuket does have high season and low season, but it operates throughout the year. People from all over the world come to sun themselves on the near perfect beaches, laze around chilling and drinking cocktails. If beaches are not your thing, then there is so much more to Phuket than just beaches, the sightseeing of temples and markets, the amount of restaurants and bars is astounding and there are many golf courses, scuba diving , snorkeling trip to go on the list is endless. Monday February 17th: Max Temp 34 - min Temp 26 degrees very light breezes very little. Some light cloud cover towards the evening time. Tuesday 18th February: Max Temp 34 – Min temp 27 degrees only slight breezes, light cloud cover again early evening the temp dropping down to 27 yes the weather is now getting hot all day long. 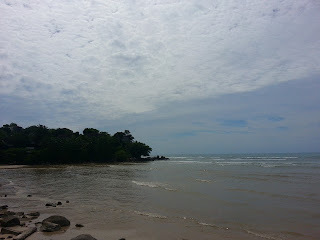 Wednesday 19th February: Top Temp 35 degrees hottest day of the year so far the beaches are packed and Phuket is rocking and at night hit a low of 27 degrees at night again some light cloud cover. Saturday 22nd February: Max Temp 34 degrees today with a night time low of 24 degrees some early morning mist clearing before 9am, Beach day today Naithom is a must if you are close by. PHUKET: The annual “Yamu Night Fishing Game”kicked off this week. The annual competition, aimed at promoting local fishing traditions in the area, is put on by Paklok Subdistrict Municipality (OrBorTor). “Only those fishing from longtail boats with local fishing equipment are allowed to participate. However, both Thais and foreigners are welcome to get involved,” said Paklok Public Relation staffer Samart Sensai. Enrollment per team of up to five people is 1,000 baht, with only one team allowed per boat. Registration runs from 8 am to 10 am Saturday, with teams departing from Yamu Point at 10:15 am and not weighing in their catch until noon Sunday. Trophies will be handed to the top three contenders in a variety of categories: fish living at the surface (total weight); fish living on the seafloor (weight); sharks and rays (weight); fish caught with a fishing pole (weight); fish caught with a fishing net (weight); other (weight); and unique fish. There will also be an award for “Great Captain,” which will be given to the man or woman who has led his or her team in bring in the greatest haul. Additionally, there will be a sportsmanship award. "Though the OrBorTor only has trophies for the teams, the event can be good for competitors' pockets when it comes time to auction everything off," said Mr Samart. Saturday evening while the fishermen are away, there will be a market at Yamu Point accompanied by stage performances and other entertainment, said Mr Samart, with festivities to run from 5 pm to 11 pm. “A 5 pm on Sunday, we’ll start the partying again, as well as announce the winners on stage,” Mr Samart said. Going on a Phi Phi trip in the monsoon season you really have to consider the sea conditions, so when i booked this trip I was taking into account the strong winds we had at the time and chose the Phi Phi Premium Tour which uses a large, stable ferry, of course on the day of the tour the winds dropped and the sea was flat calm. 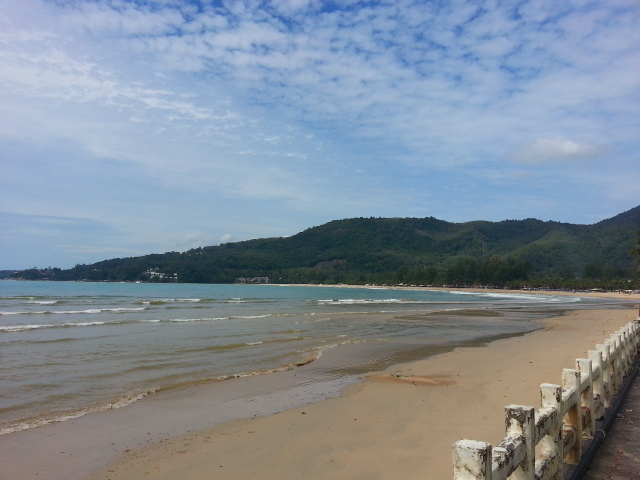 The day started with pickup and transfer across Phuket town to Rasada Pier on the east coast of Phuket. On arrival at the pier a sticker was attached to my shirt stating I was "Premium", just indicating my cabin class not a personal evaluation, and I was directed to the upper deck of the Royal Jet Cruiser 9, the largest ferry on the dock, and into the cabin. Once in side you have to do a bit of a double take to check you are still on a boat as it seems like you have just entered a cafe bar or a first class airport lounge. The room has an abundance of well cushioned sofas and is fully air-conditioned, one end of the room has a large flat screen TV which was used to show movies and some Mr Bean episodes, at the other end of the room is a bar where the lounge's hostess is serving tea,coffee, soft drinks and cakes. At about 8:45 the ferry pulled away from the dock and started on it's way to Koh Phi Phi Island, at about the same time the ship's tannoy sprang to life whith an announcement of the days program for the boat in English and Thai. Once the tannoy had stopped James, our guide for the day, came and introduced himself to all those doing the day tour package and briefly outlined the day's events and made sure we knew the way to the private sun deck on top of the Premium cabin. The hour and a half trip went quickly and smoothly and soon James was leading the tour group to the back of the ferry as she approached the pier in Phi Phi Don's Tonsai Bay, after a couple on minutes our speedboat pulled up to the back of the boat and we boarded it, we were the first people off the ferry. The twin engined speedboat took as around the east side of Phi Phi Don and then north east to to Bamboo Island, which is basically a small piece of rain forest surrounded by a massive beach. Here all those that didn't want to go snorkelling disembarked to spend an hour on the beach, the rest of us headed to a spot in between Bamboo Island and it's neighbour Mosquito Island. The whole area is littered with small rocks and coral bommies with the sandy bottom at about 3 or 4 metres deep, most people were wearing their life vest to keep them securely on the surface while the sergeant majors and rabbit fish mobbed the pieces of bread James was throwing in to stir up some action. After about 45 minutes everybody was called back to the boat and we headed back to Bamboo island to pick up the others from the beach. The next stop was Leamthong beach on the north east of Phi Phi Don, this beach has a number of hotels and a restaurant and boat in the only way to get there, we were here for lunch in the Premium section of the restaurant. the lunch started with tempura vegetables and seafood and was then completed with barbecues tiger prawns and fried rice, with fresh fruit to follow. we then hadf about 30 minutes to relax on the beach before taking the speedboat back to the ferry which by this time was moored just off Leanthong beach. Once back on the ferry most of the people in Premium Class (less than 30 in total) headed up to the exclusive sun deck to take in the view as we cruised back along the east coast of Phi Phi Don and back into Tonsai bay where we picked up the rest of the passengers heading back to Phuket and then we set off for a tour of Phi Phi Lae before heading back to Phuket. As we left the bay we got a glorious view of Phi Phi Lae, we cruised slowly passed Viking cave, Pi Leh Cove and Loh Samah bay before rounding the southern tip of the Island and heading into Maya Bay. As the ferry is large we could only come a short way into the bay but this was far enough to be able to see the line of tourist speedboats on the beach. The boat then turned and headed for home. Back downstairs in the Premium lounge there was beer and doughnuts and an action movie to speed us on our journey, if the sea conditions changed at all during the day it was hard to tell as the boat never seemed to move at all, in fact you have to look outside every so often to remind yourself you were on a boat. All in all the Phi Phi Premium Tour is a pleasant day out, particularly good for families with young children or those who are prone to sea sickness, also great for photographers who wish to capture the majesty of these Islands, hard to do from a vibrating speedboat. Phi Phi Premium Tour, a set on Flickr.